Hi there! Today I’m sharing my review for a contemporary YA adventure from Sarah J Schmitt that’s just in time for Halloween. IT’S A WONDERFUL DEATH is a cross between Mean Girls, Defending your Life, A Christmas Carol, and It’s a Wonderful Life. I did enjoy this wild ride of one miscollected soul. Drop down and make sure to enter the big Prize Pack giveaway. Mean girl RJ is in the wrong place at the wrong time. She’s getting her fortune told at a Halloween carnival when the gnarled gypsy tosses her at the Grim Reaper. Gideon can’t undo the damage now that he’s collected RJ’s soul–even if it’s a mistake. She has no choice but to ascend to the Lobby with him. There, she watches as group after group of souls called to Judgement. She encounters a fellow soul unwilling to advance, Sandy, who’s awaiting her beloved James to arrive. Throughout, RJ is professing her frustration over being miscollected–and being a bit of a diva over it. Naturally, as RJ is a diva over everything. She raises, in this case, holy hell, and it leads to an unprecedented Tribunal of angels who must decide if RJ’s worth the trouble of unraveling time to re-insert her into her timeline. And, honestly, the verdict is no. She’s been a nasty, mean, lying, conniving wretch of a girl–all in the pursuit of popularity. Her two Guardian angels help to plead her case, that she’s young a redeemable, but it is Death Himself who arranges a series of tests–to verify if RJ would make the right choices given the chance. She has spirit guides from her own life (ala A Christmas Carol) leading her back to three key times when RJ departed from a good path. RJ is quite a character. She is unashamedly self-centered and made many, many wrong choices with her life, but she is adamant that she’ll do better. And, in many ways she does. The bulk of the book is her arguing her case to all and sundry, begging to be heard. And, even when she is heard, those in charge will likely not do as she wishes. Why should they, after all? She is not a worthy soul, in their opinion. And, they’re right. But this tough girl makes even her Grams proud as she meets and exceeds Death Himself’s challenges. I will admit to being frustrated by the ending. I wanted so much for RJ to live the life I pictured for her, and sadly it’s not the case. That said, this was a fantastic redemption tale with a very human, and believable, main character. Her journey was quite a wild ride, and how she made amends was thoroughly believable. For all the Heaven and Hell parts of this book, it’s not preachy and it’s not churchy. Again, like A Christmas Carol, RJ must ponder the parts of her life that went wrong. She has to overcome her Mean Girls training and fight for the right to live a better life than the one she was collected from. I adored how the angels were honest. Brutally honest. RJ is little more than a pest, in their view. Turning back time is a huge undertaking–and opens the gates for other souls to complain that their time should not have been up. Oh, the legalities of final Judgement! Click the Rafflecopter link below for your chance to win a fantastic prize pack! Prior to immersing herself in the world of the written word, Sarah earned her Masters of Science in Higher Education Administration and Student Affairs from Indiana University where she worked with first year college students as they acclimated to college life. Sarah lives outside of Indianapolis with her husband, two kidlets and a cat who might actually be a secret agent. She is an active member of SCBWI, ALA and the Indiana Library Federation and is a regular participant at the Midwest Writer’s Workshop. 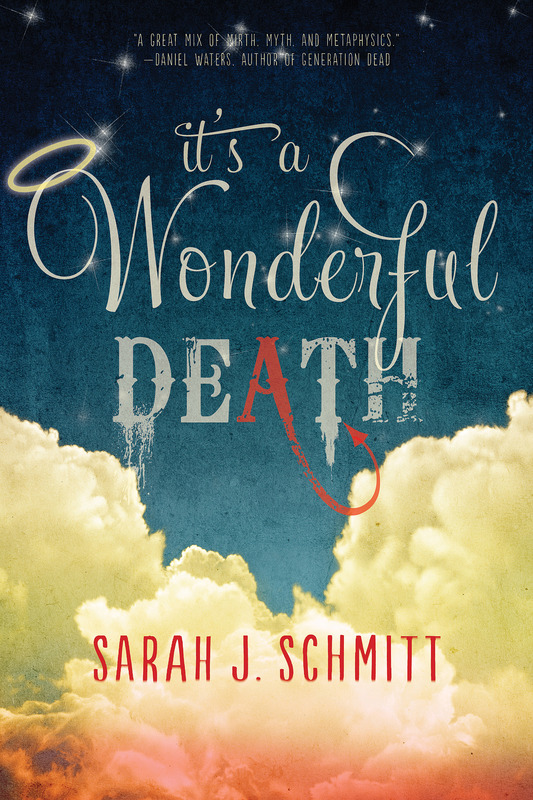 Her debut novel, IT’S A WONDERFUL DEATH, is newly released from Sky Pony Press. 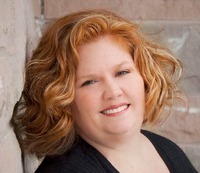 You can find Sarah online on her website, Goodreads, Twitter, and Facebook.